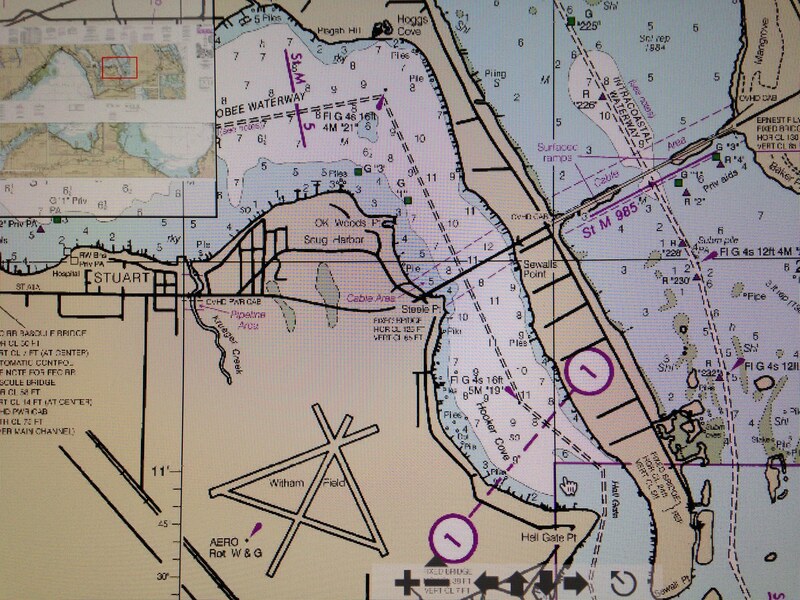 S-80 dumps from Lake O into the SLR, image created by Doc Snook, 2013. I thought I would just go on-line and compare the first bill to the second with its amendments…kind of like juxtaposing town ordinances between first and second reading. Well, I learned over the past week, that this is not as easy as I had anticipated. 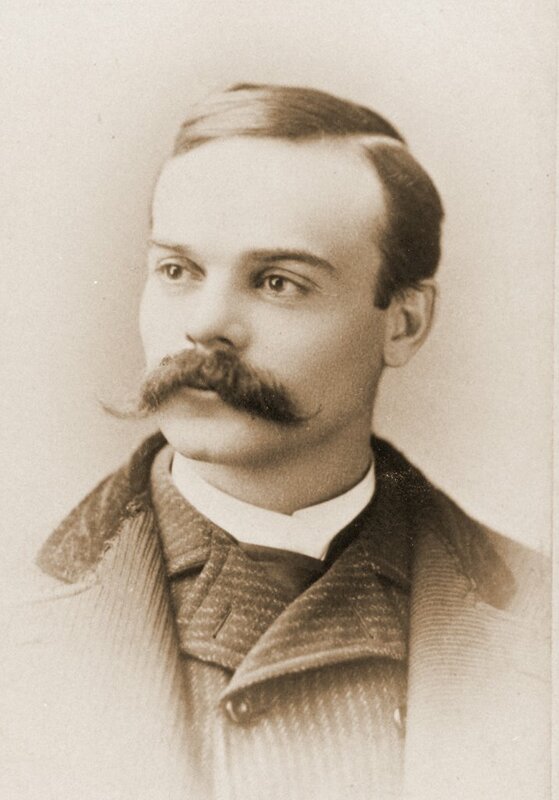 In fact, to interpret well, I think I need a lawyer, or to become one. Powerful words from a Senate President. And between the lines we see that he is trying to build bridges to garner more support…as the powers that be have been repeatedly clubbing the bill over the head, in form with their outdated ideology. 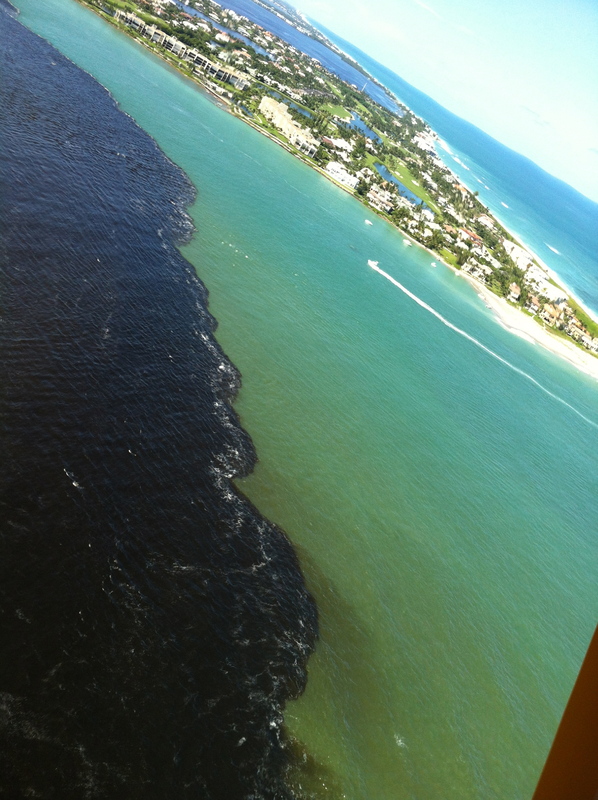 So the bill has changed, it may be slightly wounded but it is still alive, and the dramatic destruction of our St Lucie/Indian River Lagoon has become the seed of change for our entire state. Wow. 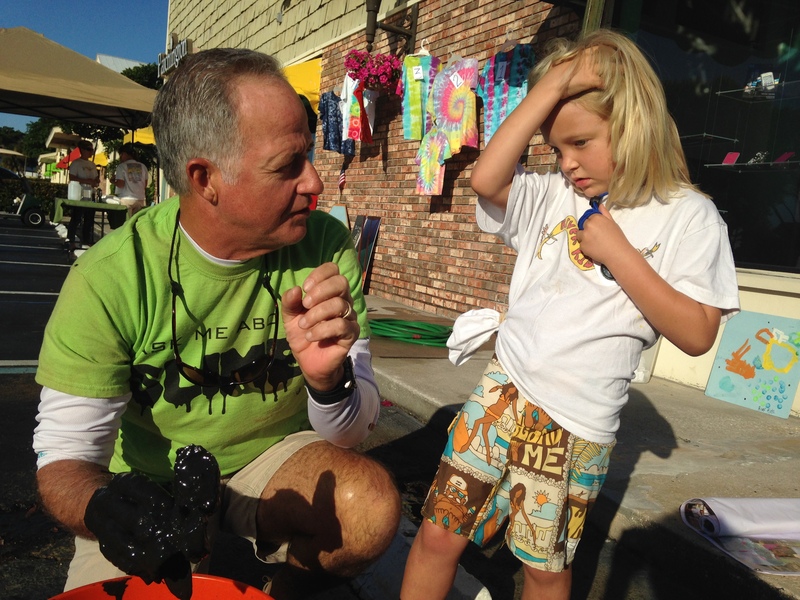 This is fitting as Martin County has a history of inspiring change and being a leader when it comes to the environment. Ernest Lyons, the great “Stuart News” newspaper man, and others are in their graves smiling I am sure. He may even be smoking a cigar. 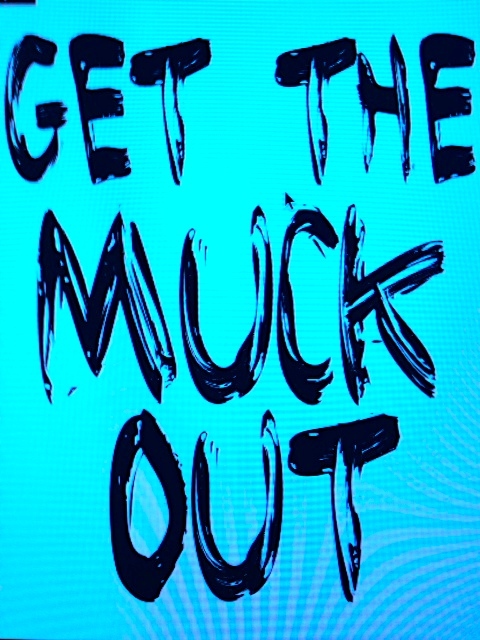 Nonetheless, we must remain the epicenter of this state-wide change…we must keep foucs. The toxic destruction from Lake Okeechobee is a not by accident, but a rather a state and federally sponsored decision embedded in a power culture that has ruled for over one-hundred years. It is time to crack this wide open, thus even though the bill is morphing Senate Bill 10 must keep the EAA land purchase and reservoir component. 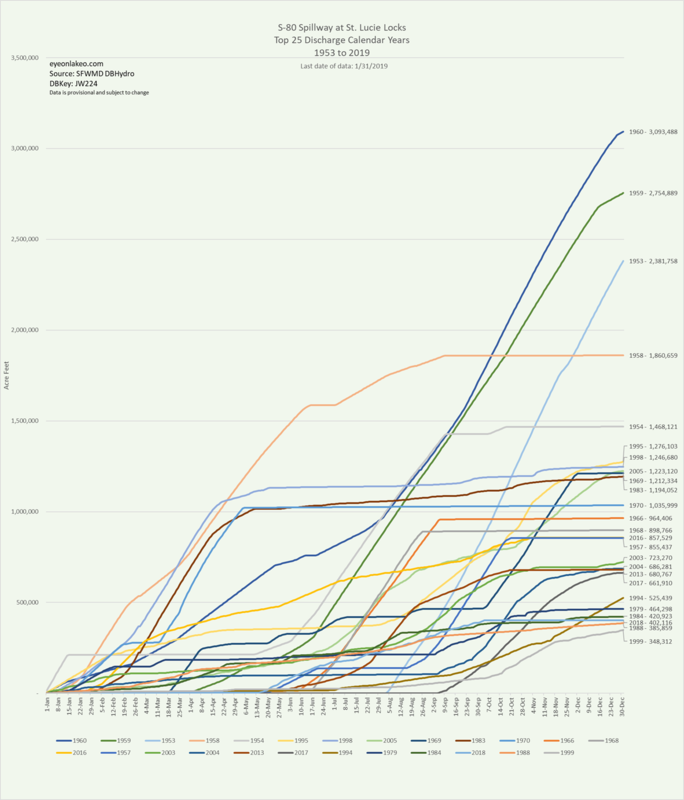 And although it has grown to include others, it still has this critical component. “Unfortunately SB10 has been substantially amended to include funding for water supply developments (pipes and pumps)…The bill changes the direction of the state’s major land acquisition programs from conservation purposes, to acquisition and improvements to land and water areas to protect, restore, and DEVELOP, water resources…These amendments are concerning…” I trust FWF’s concerns are warranted and should be looked at. Now for the fun part! Below you can compare the two bills, it has gone from 14 to 27 pages! The press releases following help interpret the bill’s intent. Below the Florida Senate links are two reporter’s insights that I feel are quite helpful, Isadora Rangel of TCPalm and Nancy Smith from Sunshine State News. 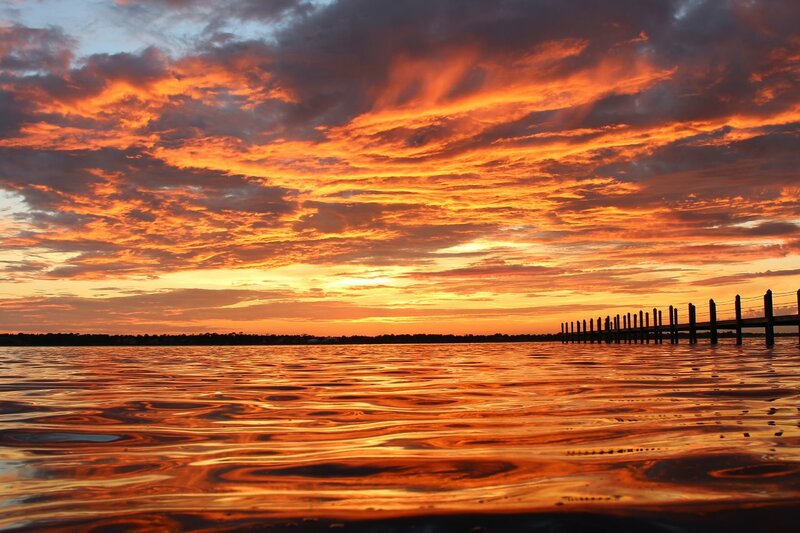 In closing, we must never give up because we are destined to change the long-standing culture of drainage and destruction for the St Lucie River/ Indian River Lagoon and now for the great state of Florida. • Creating a loan program to help government and private entities pay for water storage projects that prevent it “from being discharged to tide or otherwise lost to protect the waters of the state.” The loan would pay up to 75 percent of the project and give priority to alternative water supply in areas with limited water sources or that are threatened by salt water intrusion. 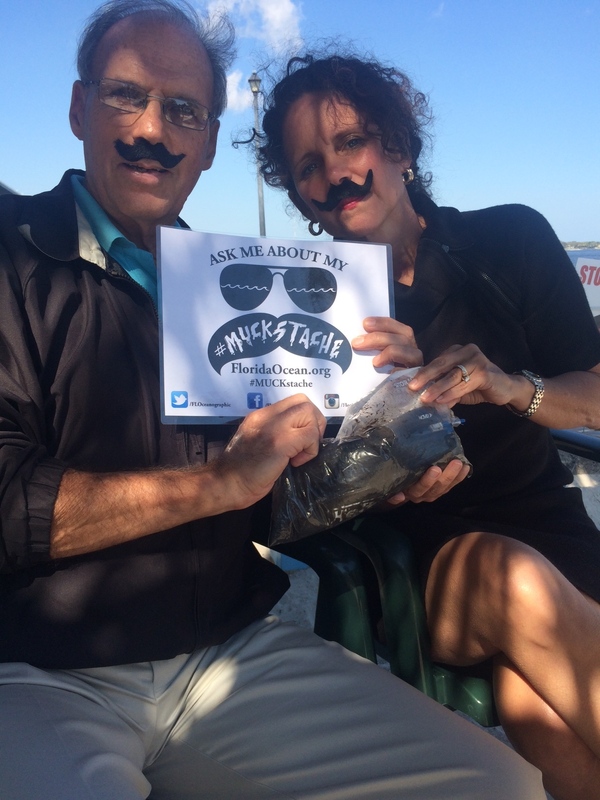 • $2 million annually for septic-to-sewer conversions, stormwater projects, muck removal and other water quality projects in the Florida Keys. — Acceleration of the timing and funding for the state share of the Everglades Agricultural Area Storage Reservoir Project. The bill authorizes the purchase of land for the project from willing sellers in the EAA and does not authorize the use of eminent domain. — Funding of the state share of all existing Comprehensive Everglades Restoration Plan (CERP) projects in the integrated delivery schedule (IDS), including the Lake Okeechobee Watershed Project, the C-43 West Basin Storage Reservoir Project, the C-44 Reservoir Project, the Western Everglades Restoration Project, the C-111 South-Dade Project, and the Picayune Strand Restoration Project. — Direction to the Army Corps of Engineers to begin the reevaluation of the Lake Okeechobee Regulation Schedule to take into account repairs to the dike and new southern storage features to increase storage in the lake as early as possible. — A new bonding program, building on the Florida Forever model that recognizes the need to bond for water resource protection and development across Florida. The bill transfers the remaining $3.3 billion of existing bonding authority from Florida Forever to the Florida Coast-to Coast Water Resources Initiative. The bill does not create additional bonding capacity. — A new revolving loan financing program and statutory tools to allow the state, water management districts and local governments, to develop and operate water storage and supply facilities to service regional populations addressing the growing need for water supply in the state. 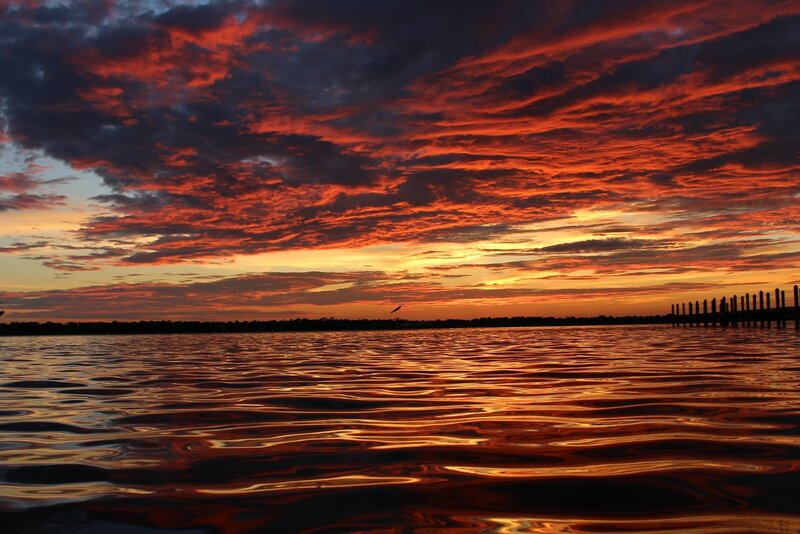 — Dedicated LATF funding to expand Legacy Florida to include projects addressing water quality and restoration with the St. John’s River and the Florida Keys. — Funding to aggressively address the retrofitting or conversion to central sewer systems of outdated septic systems consistent with Gov. 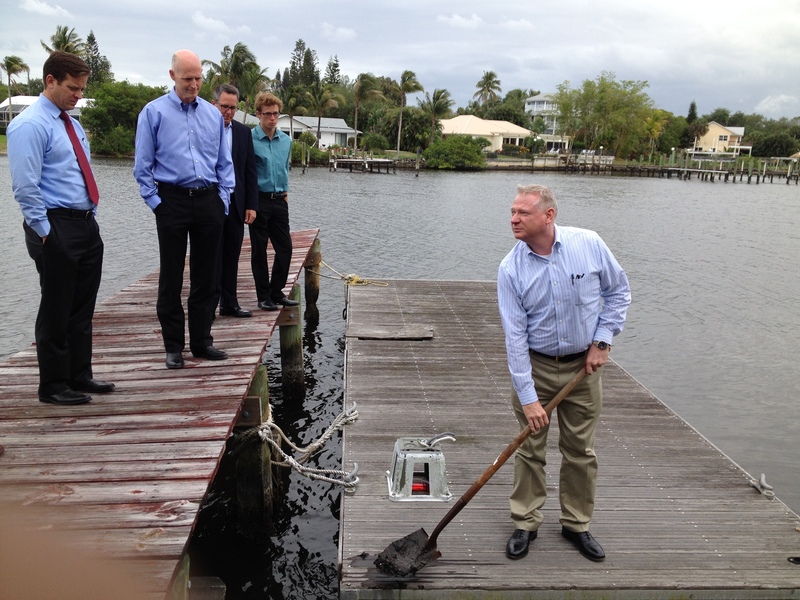 Rick Scott’s leadership on this issue. — Provisions that encourage reuse by establishing a water reuse grant program, specifically to assist wastewater treatment facilities to expand capacity to make reclaimed water available for reuse. 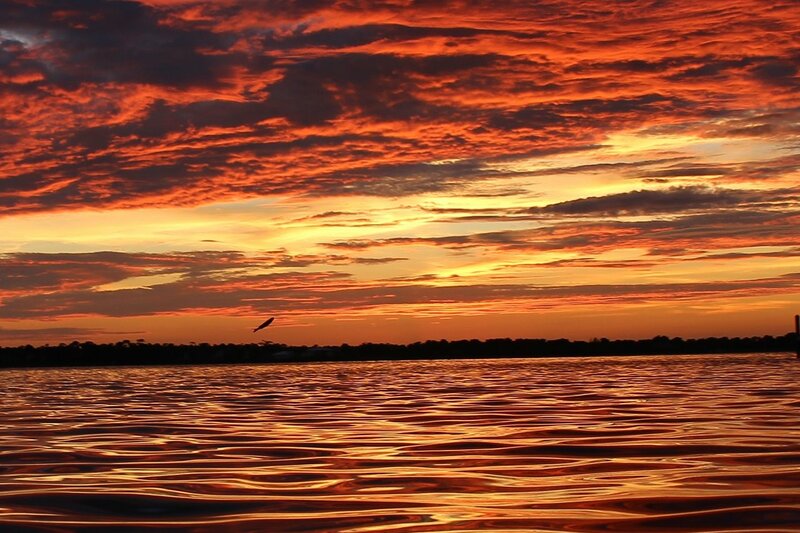 This beautiful jumping mullet-sunset photo was taken by my brother, Todd Thurlow, this past Saturday evening, October 10th, 2015 just off of North River Shores. 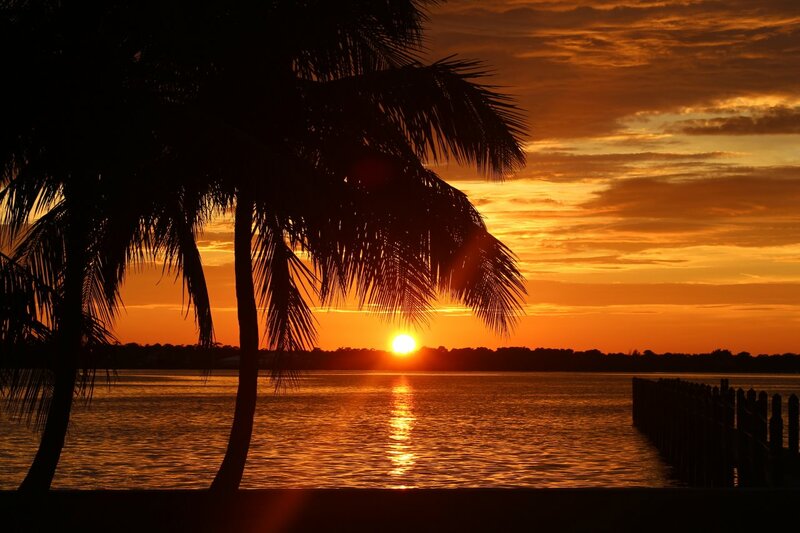 Sunset over the St Lucie, Todd Thurlow, 10-10-15. I hope you and your family had a happy Father’s Day. 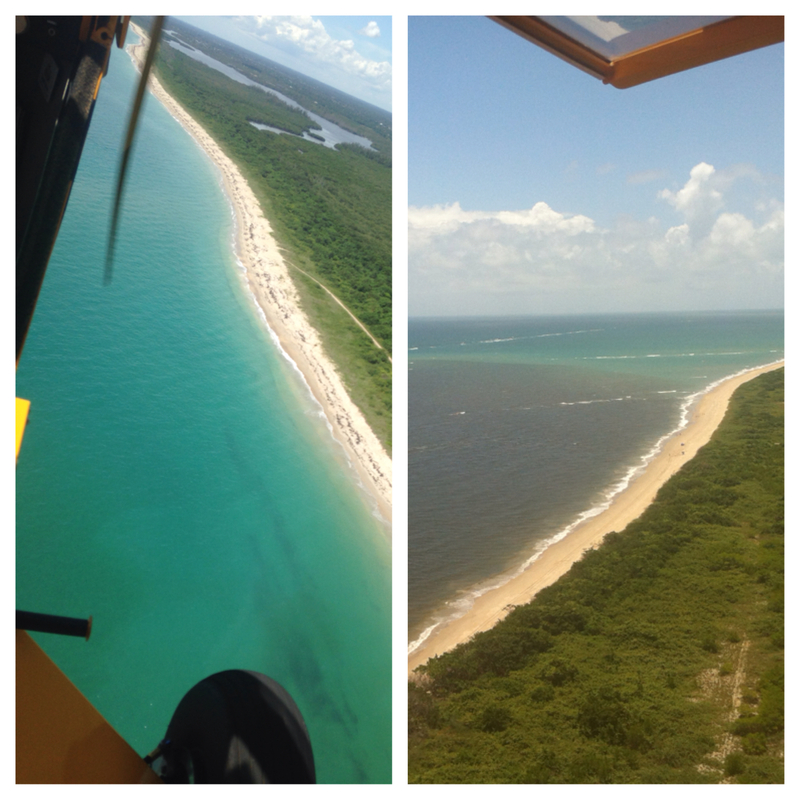 The water was beautiful this weekend, so I thought today I would compare some aerial photos my husband Ed and I took this weekend to some we took in June of 2013 during the “Lost Summer.” No wonder we all fight for clean water and fewer discharges from Lake Okeechobee and area canals. What a difference! Of course other than “history,” rain has a lot to do with discharges into the St Lucie River/Indian River Lagoon, and it has not been raining too much lately— thus the blue waters rather than the ugly dark brown plumes. 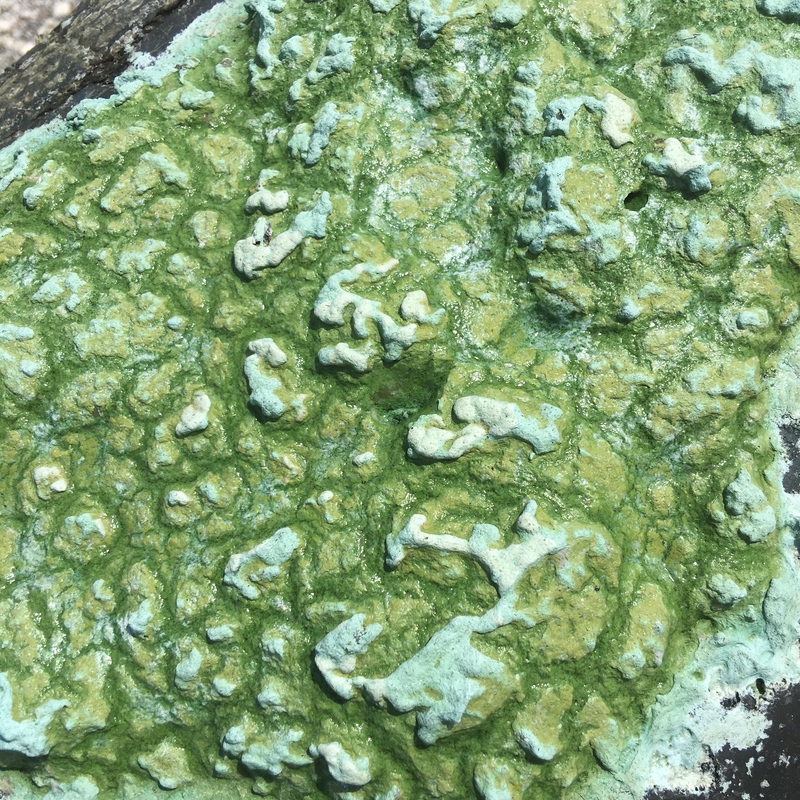 It is important for all of us to understand why our paradise sometimes turns into a disgusting toxic mess so we can keep working for policy to change this problem. 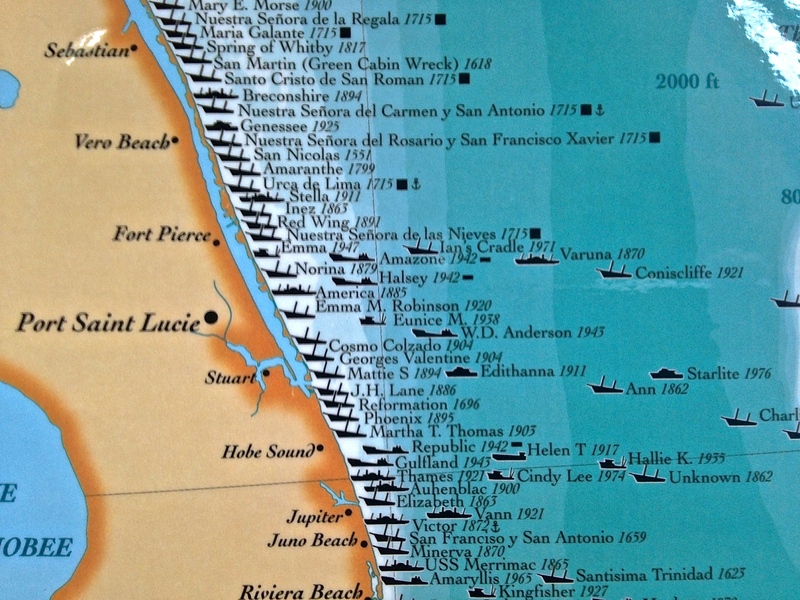 The first and worst part of the problem lies in southern Martin County—the C-44 canal built by the Flood Control District of the era and later the Army Corp of Engineers to connect Lake Okeechobee to the South Fork of the St Lucie River. This canal was connected in 1923 for agriculture and transportation. So now, not only is there the agricultural lands’ runoff from the C-44 basin that pours into the river, but also the periodic often huge releases from Lake Okeechobee. In spite of claims that this lake water is “only 30%” of total discharge water coming into the estuary, when it comes it is tremendous, filthy, and always a killer. I think a decent metaphor would be that one could drink alcohol all time (from the C-23, C-24, C-25) and have problems like an alcoholic but function, however, if one downed two bottles of gin in a short period of time, one would kill oneself. 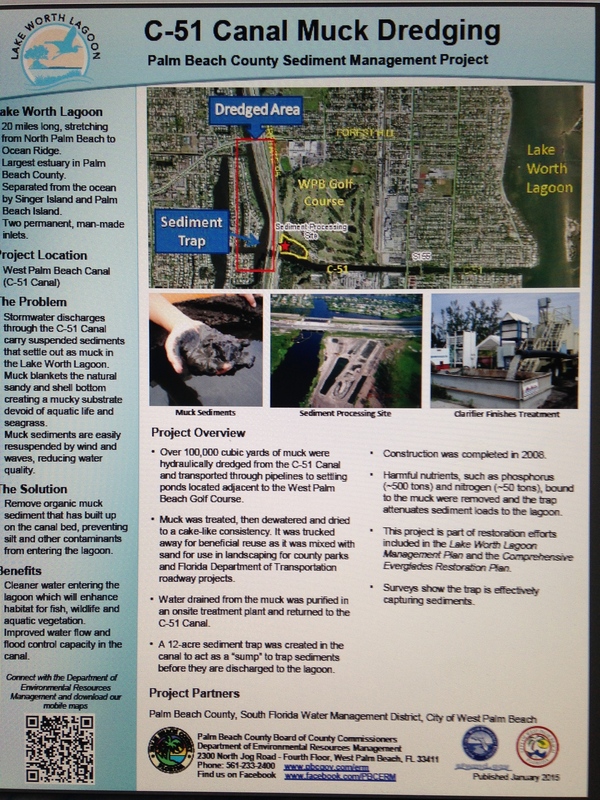 Lake Okeechobee and its periodic huge slugs are death each time for our St Lucie River/Indian River Lagoon. 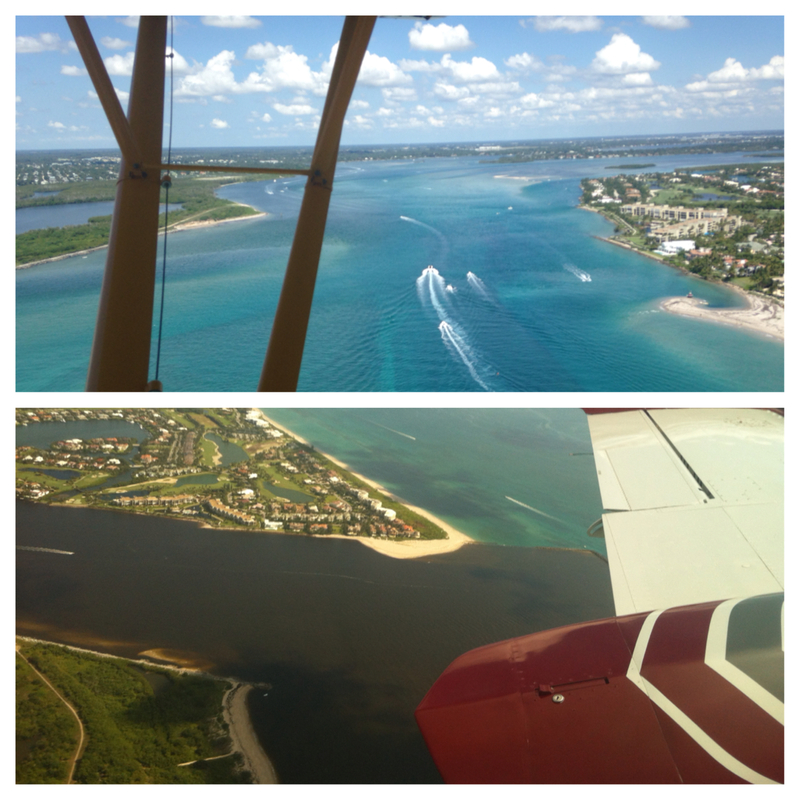 Canals in Stuart, C-23, C-24, C-25 built in the 40s, 50s and 60s. 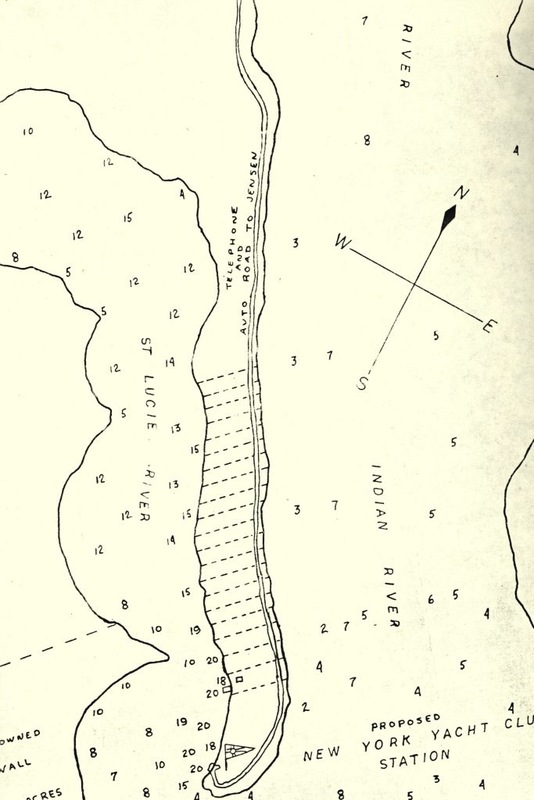 C-44 connected to Lake Okeechobee constructed in the 1920s. 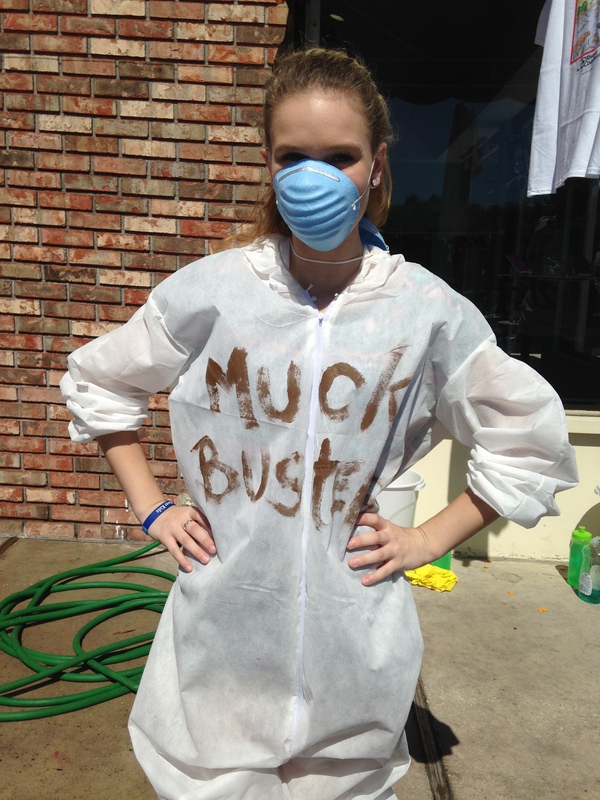 After a tremendous hurricane/storm and flooding (because we are a swamp….) in 1947 the state of Florida and the federal government worked to appropriate monies for the Central and South Florida Flood Project which created the plumbing system we know today for all South Florida. The part “we got” was the building of canals C-25, C-24 and C-23. The state and federal government acted like this was “just for flooding” but it wasn’t. 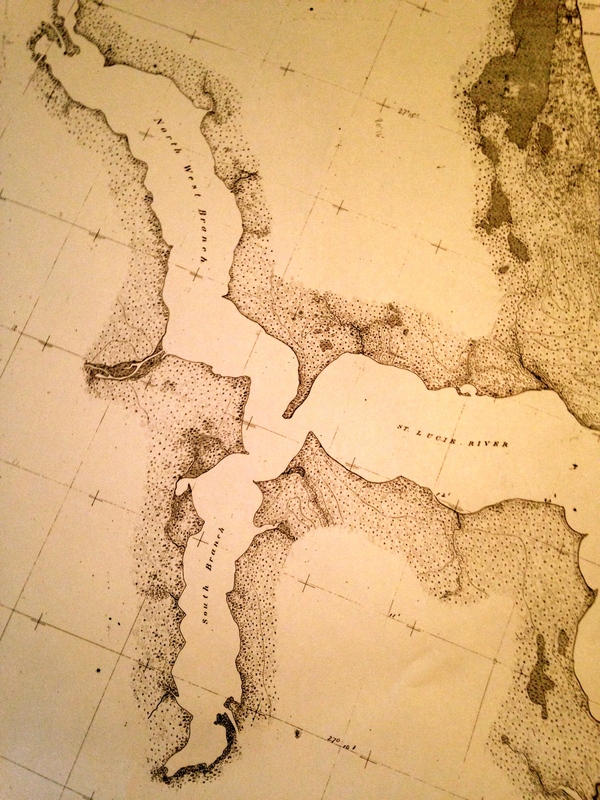 It was also to allow for more agriculture and development in the region by draining the lands. 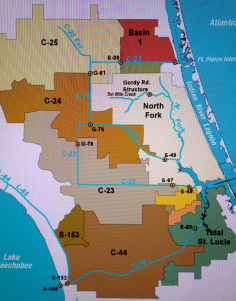 (Mostly citrus and development of Port St Lucie). 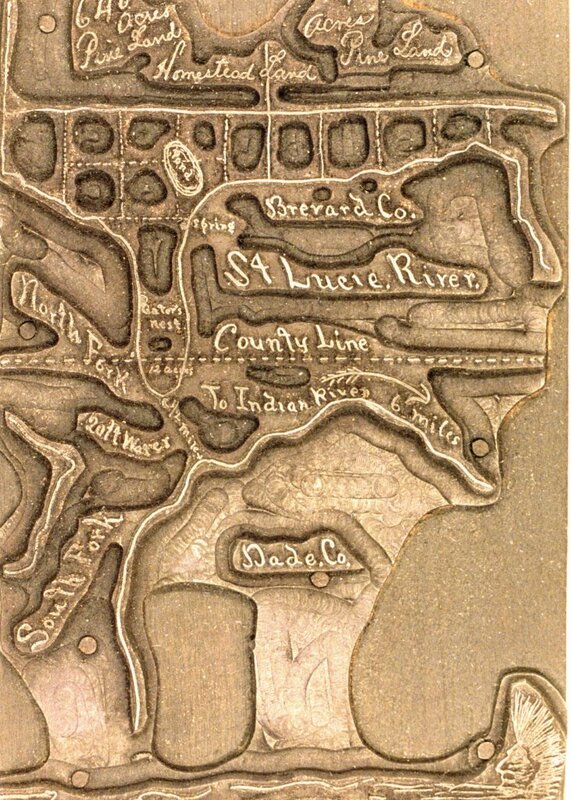 These canals were built and “improved” throughout the 50s and 60s and expanded the water being drained into the St Lucie River by about five times! You know these “guys” —these politicians and business people, knew they were killing the river. They were just so driven by the pay-off of citrus/agriculture and cheap lands to sell….that they didn’t care…The river dies slowly so many of them did not see the “close to total death” —what we see today…but they knew what they were doing. There were those who objected trying to protect the river’s fishing industry and wildlife….But their voices were not enough to stop the train….sound familiar? Drainage changes to the SLR. Green is the original, natural, watershed,. Yellow and pink show the expanded drainage to the SLR/IRL. 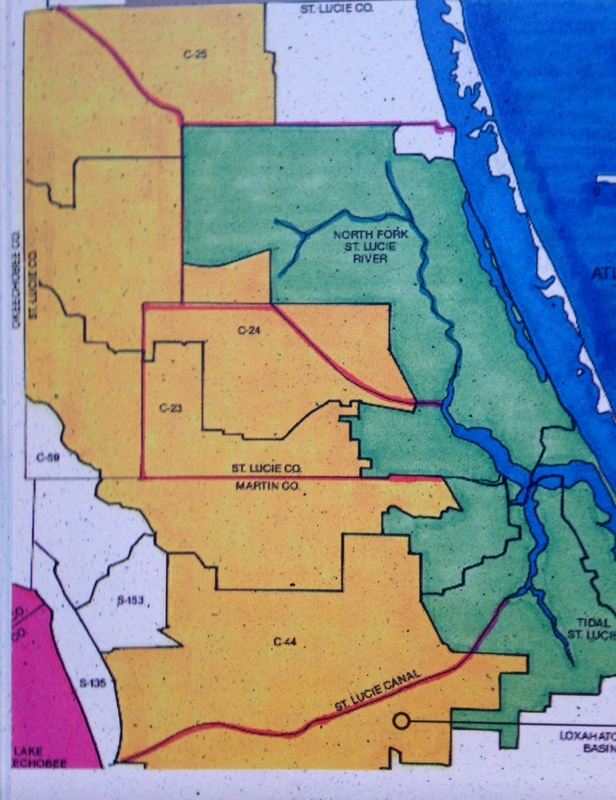 St Lucie River Initiative, Letter to Congress 1994. Like we are supposed to feel responsible? Most of it’s not local!!!!! 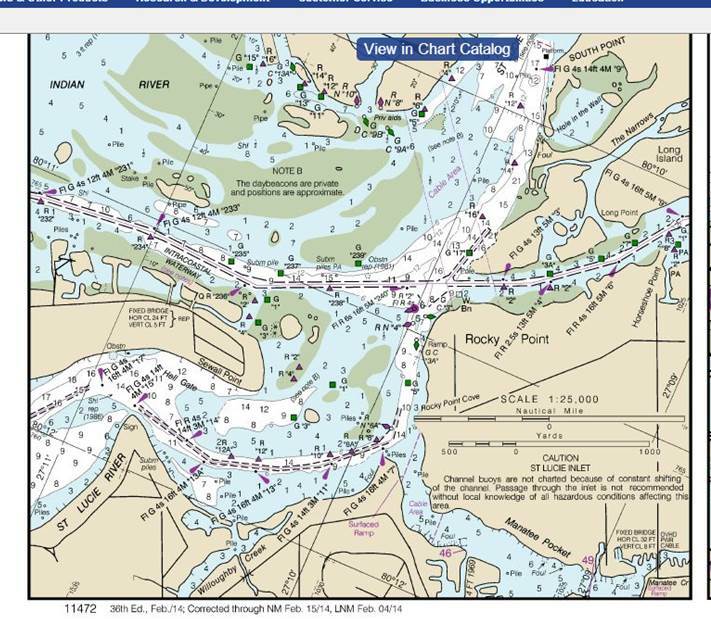 Plus it is the SFWMD’s job to oversee these canals. FIX THEM! The moral of the story though is that the “local watershed” does not exist anymore…. “Wealth (agriculture and development) at the expense of the environment….” The story of our state. Of course the grand irony is that we all came here for the “environment” ….the water, the fishing, the wildlife, the beauty…..
Paradise is not what it used to be, but it is still here. 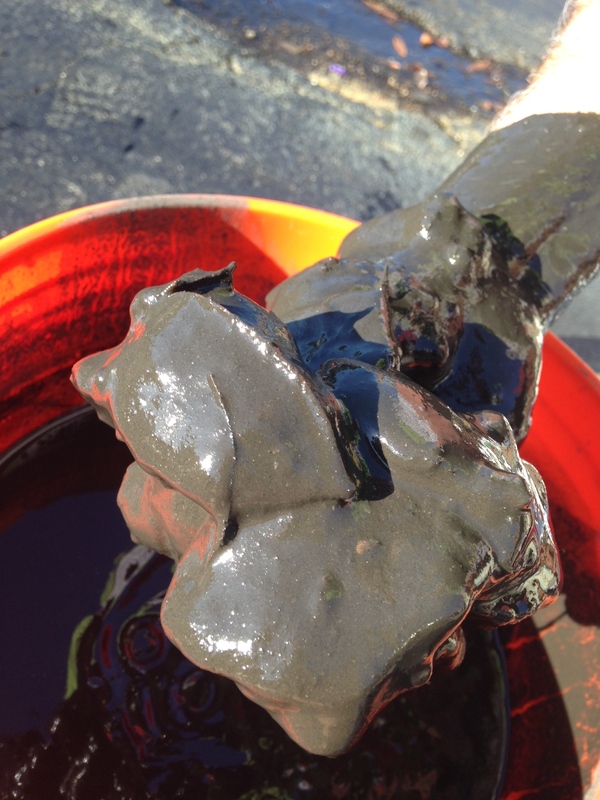 We saw some of it this past weekend…And we could bring back more if we really tried….If we want it, our job is to get more of the water coming into the St Lucie River/IRL back onto the land, going south, and returned or held north, and not draining or being released into our watershed. There is alway hope we could do it faster. We must make hope a reality….all of us. September 2013–plume as it exits St Lucie Inlet. 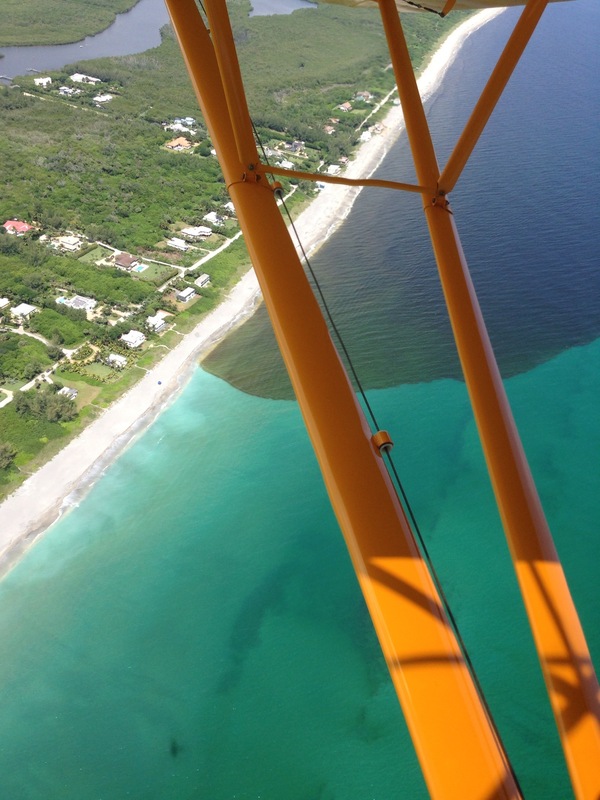 Another aerial from September 2013- plume along Jupiter Island that had exited the St Lucie Inlet. 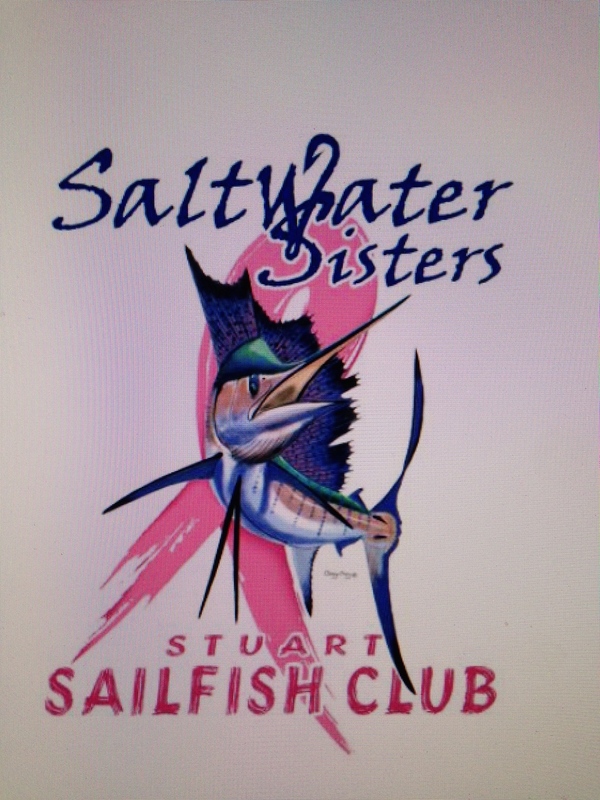 I started thinking about sailfish recently because Jamie Burns asked me if I would be a “judge” for a boat theme contest taking place October 24-25 for the “Salt Water Sisters” Lady Angler Tournament. 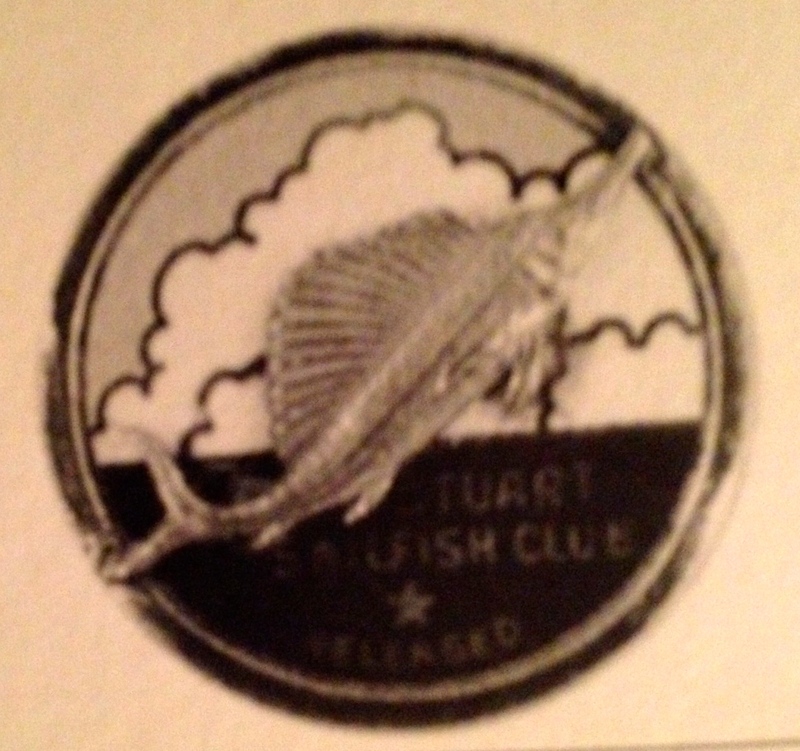 I was honored to be included and started reading about the organization which is an arm of the famous “Stuart Sailfish Club” that formed in Martin County informally in the 1930s, and later formally in 1941. This organization set the bar on conservation in our area. 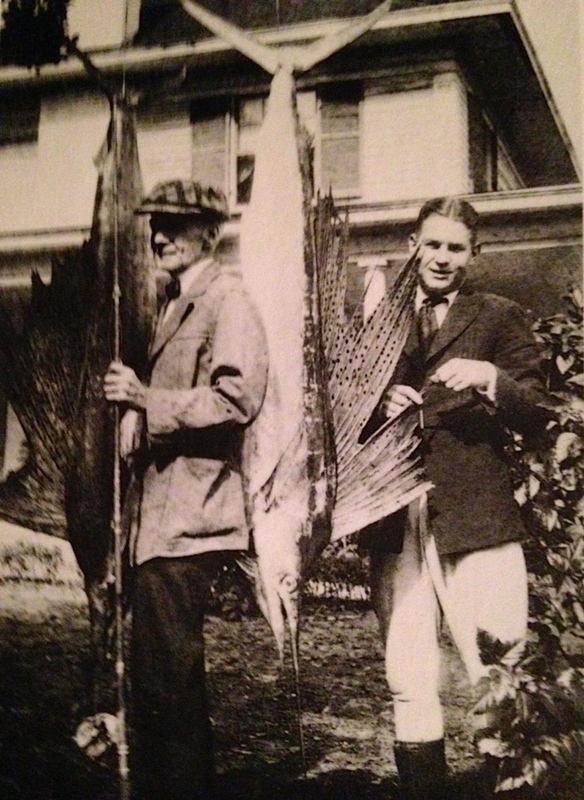 “Immediately after the club’s incorporation, Ernie Lyons announced the next immediate goal was the creation of a release button to be given to individuals who consistently released their sailfish….in 1941 records show that a record, over 5000 sailfish, were caught in a 90 day period, January through March 1941. 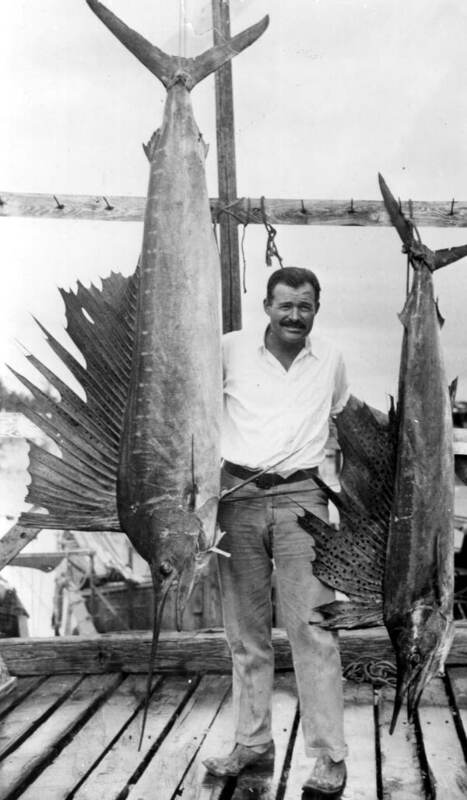 Many sportsmen let their sailfish go but thousands were slaughtered only to be dumped into the river, carted off by garbage collectors, or used for shark bait. I think this is an amazing and inspirational story! 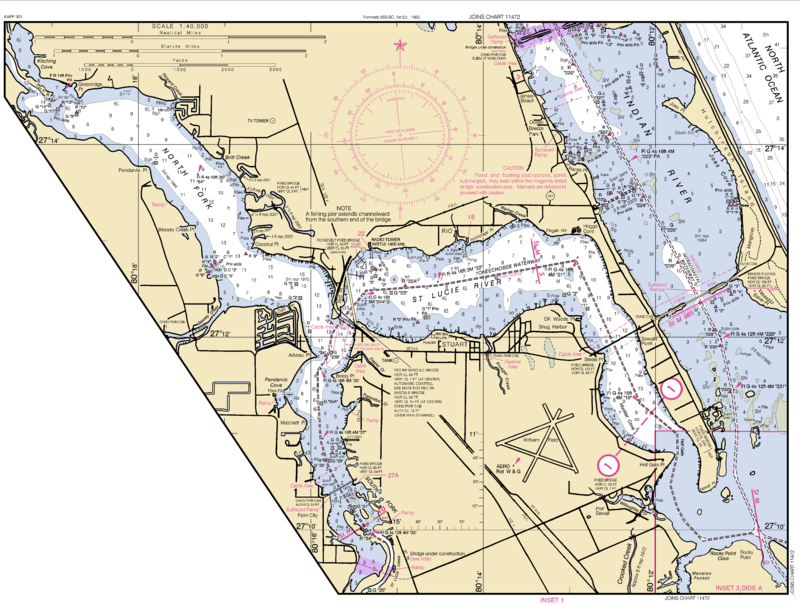 As a St Lucie River/Indian River Lagoon side note, I hear a lot of things about the Indian River Lagoon and someone once told me the sailfish spawn right off the St Lucie Inlet. 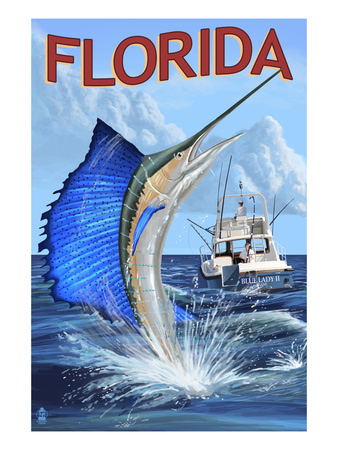 In our area the fish can spawn a good portion of the year but mostly in the warmer summer months, therefore, polluted releases from our canals and Lake Okeechobee have an effect on the sailfish population in our area. Just one more reason to stop them! In closing, I would like to wish all of the participants of the Salt Water Sisters Lady Angler Tournament “good luck” this weekend. Wear your “catch and release” button with pride in the memory of those who came before us and had the foresight to protect the beautiful creatures of the ocean and our way of life.